Obviously, I’m not a philosopher, but Plantinga argues specifically against naturalism (which I espouse) and I happen to currently read The Big Picture – On the Origins of Life, Meaning, and the Universe Itself by Sean Carroll. Carroll is one of the very few people whom I find myself agreeing with on almost every point – in this book, he defends his worldview of poetic naturalism using epistemological bayesianism, both of which I find incredibly attractive, so I thought I’d have some fun and give my two cents on Plantinga from those points of view. However, in poetic naturalism we are justified in saying that other things “exist”, if that is a useful way to talk about the world on a higher level of abstraction. If I talk about e.g. some person, describing them on the basis of fundamental particles/fields/whatever simply isn’t appropriate. Talking about their intentions, free will, desires etc. on the other hand is – it allows us to form hypotheses about people, derive predictions – hence psychology, sociology, etc. So even though human behavior ultimately is the result of the laws of physics acting on purely physical entities, it is infinitely more useful to talk about them in terms of human characteristics, hence we’re perfectly justified in saying that e.g. we have free will – it’s just that whatever we mean by free will is the result of purely deterministic natural laws. By Bayesianism I mean the notion, that the degree to which we believe and place confidence in some proposition should be the probability of that proposition being true given the available information. This is a significant point, because even if we (in most practical cases) can’t assign definite values to those probabilities, the sheer fact that they are probabilities means they are governed by the mathematical laws of probability theory. In particular, this tells us a lot about how they are influenced by new information – i.e. how we should update our beliefs and the confidence we put in them, based on (new or preexisting) evidence. …and we’re already off to a weird start. Naturalism (pretty much by definition) accepts every result that the scientific method has lead to and is inherently based on accepting the scientific method as a reliable methodology to discover truths about the world. Conversely, the scientific method entails pragmatic naturalism (i.e. science excludes – not in principle, but pragmatically – anything that is not subject to empirical observation, i.e. anything outside of the natural world). If you look into any scientific paper, whether about physics, chemistry, biology or psychology, you won’t find any reference to non-naturalistic forces or beings. It didn’t have to be that way – Newton invoked god regularly in his scientific writing. It just so happens, that over time, naturalism has won in science, at the very least pragmatically. It would be seriously problematic, if one of the universal, principal, pragmatic assumptions used in science is incompatible with it, but okay, let’s just see where he’s going with that (Spoiler: his evolutionary argument against naturalism of course). But the other problem is that merely showing that theism and science/evolution are compatible is completely pointless (and that’s what he’s going to do). Everything observable can be ad-hock rationalized to be compatible with theistic beliefs – I can always take one step back and proclaim “yes, god made it look like that on purpose”, and it is with that kind of reasoning, that Plantinga dismisses perfectly valid arguments against (the plausibility of) theism, as we will see later on. But this doesn’t get us anywhere: mere compatibility implies nothing, it allows for no testable predictions and it doesn’t mean that theism is even remotely plausible. Nothing as vaguely defined as theistic belief can ever be excluded with metaphysical certainty. Neither can the existence of unicorns, Russell’s teapot orbiting earth, the flying spaghetti monster. So just showing that science and theism are not perfectly contradictory is an exercise in futility – it’s trivially true. What Plantinga calls “Darwinism” is either horribly outdated (if we take it exactly as he describes it) and thus irrelevant, or – augmented by the other mechanisms driving evolution – better called the modern evolutionary synthesis, which Wikipedia describes as “a 20th-century synthesis of ideas from several fields of biology that provides an account of evolution which is widely accepted as the current paradigm in evolutionary biology, and reflects the consensus about how evolution works”. So how does Plantinga define theism/Christianity? this god has certain special intentions for, interests in and a particular awareness of life on earth in general and human beings in particular. Of course, you can be a theist without accepting e.g. point 3, but it’s difficult for me to see, how it would make sense to call yourself a Christian (except maybe in a cultural sense) without accepting all three of those, so I will assume Plantinga holds these views at least in some form. all species could have been created separately and instantaneously without the need for a gradual, step-by-step process behind it. On naturalism however, there would have to be some kind of natural, unguided process (ultimately reducible to the laws of physics) that gives rise to the enormous biological complexity we observe today. Christianity and Evolution might not be logically inconsistent, but we have no reason to expect a mechanism like evolution under theism. No Christian (as far as I know) predicted an evolutionary process based on their Christian beliefs (until Darwin came along with evidence, and then the churches were the first to denounce his thesis vehemently), whereas naturalists like Lamarck already proposed evolutionary explanations before Darwin, and even ancient Greek “proto-naturalist” philosophers (such as Anaximander of Miletu) proposed ideas similar to evolution way before Darwin came along – opposing philosophers like Aristotle, who repeatedly explains biological matters by invoking divine design. Naturalism predicts the existence of natural, piece-by-piece processes behind any complex system, whether that’s atoms, all of chemistry, the first replicating molecules or biological creatures, up to phenomena like the human mind. This means (from a Bayesian point of view), evolution is strong evidence for naturalism, it raises the probability that naturalism is true, and hence by necessity it reduces the probability that theism is true. That’s how evidence works. If theism is true, why do we find that the world looks exactly the way it needs to look if naturalism were true? Of course, theists can give ad-hock rationalizations for that, but what they can’t do is make testable predictions based on their beliefs. Naturalists can. This is the argument Plantinga should be concerned about – not whether evolution outright disproves theism with metaphysical certainty. No observation can do that, which is why theism is semantically void. We all agree that the natural world exists (well, most of us do, if you don’t you’re in serious trouble) – if I can’t distinguish between that and the proposition that there exists something else in addition, I can and should (based on simple probabilities) reject that claim outright. So, what about point 4 then? This… doesn’t make any sense. Darwinism – if Plantinga means the modern evolutionary synthesis – is the process that does the guiding. That is the whole point of the theory! Evolutionary theory describes the processes that guide evolution. There is absolutely no reason, let alone need, to postulate any kind of additional guidance on top! And if there is a guiding intentional force behind these mechanisms, we would have had no a priori reason to expect them to use the purely physical mechanisms of evolution! That’s the argument: We know the guiding processes of evolution and these processes can be demonstrated to occur and perfectly explain all the diversity in biology, and they are completely not what we would expect if there was an additional intentional guiding force behind them. The processes themselves have no goal, no purpose, no intention. This is strong evidence for naturalism and against theism. Instead of replying to Dawkins’ point directly, Plantinga goes off on a tangent on irreducible complexity, the proposition put forward by creationist Michael Behe, that certain features in biology are too complex and interdependent to have come about by gradual, unguided evolutionary processes as those described in the modern evolutionary synthesis. They can not be reduced to prior developmental stages that would be necessary for an unguided evolutionary process. Classic examples of supposedly irreducibly complex organs are e.g. the blood clotting system, the immune system or the bacterial flagellum. And of course, naturalism predicts that those can’t be irreducible complex, which means their individual components must have come about individually and to the advantage of the organism. Not very successful? Care to give examples? No? Are you actually going to invoke lousy creationist arguments and not even try to back them up? “Suggestions”. Well, yes, that’s all he possibly could do – we don’t have a gapless perfect record of the complete evolutionary ancestry of every single species, and we never will – but these suggestions are backed by evidence: comparative anatomy, genetics, fossils… Dawkins is not just throwing vague theses around. And irreducible complexity claims these features couldn’t possibly have evolved without intentional guidance – so a good suggestion whose feasibility is established by evidence is exactly what he needs to give. So how does Plantinga sum up the situation? …the fundamental principle behind the scientific method is a lousy argument? Are you kidding me? You defend an unfalsifiable assertion by saying, the very thing that establishes a leading theory in science – namely its falsifiability and our lack of success in falsifying it despite tenaciously attempting – is a lousy argument? If the only way to defend your position is not just to point out that science isn’t perfect and doesn’t know everything with 100% certainty (which is of course totally true, albeit a pointless argument), but instead claim the fundamental principle behind the scientific method is “horrifyingly lousy”…. I’m at a loss for words. 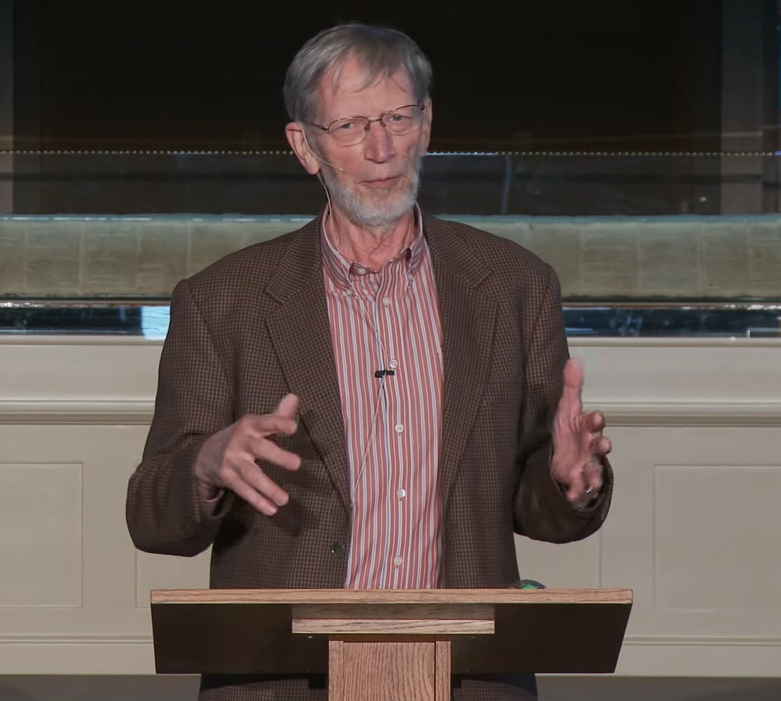 Why is Plantinga considered to be a serious philosopher? Yes, and if you had actually tried to prove it impossible, and tried every conceivable way (for example by just asking the president, obtaining his emails to HR etc. ), you’d be fully justified in believing that he does want you to get a raise, up to the point where assuming the contrary would be absurd. This is what irreducible complexity tried: disproving the modern synthesis. And they failed every time, as did every other attempt to falsify the theory – of which there have been a lot, because it actually makes predictions that can be tested. Therefore, the theory is most likely true, up to the point where denying it becomes absurd. That’s how science works, and it works that way because that’s how probability works. Why do I feel like I need to explain that to a supposed serious philosopher? Yes, it is. The “scientific theory of evolution” is concerned with any and all mechanisms guiding evolution, none of which show any kind of goal, intention, design or other signs of an intelligence. And this is incompatible with theism in the sense, that it is not, what we would very likely expect to see under theism. Therefore, again, it is strong evidence for naturalism, because naturalism requires that mutations would have to be random – in the above sense – and show no signs of intent or goal. So why doesn’t Plantinga think, that this is incompatible with god? He doesn’t say. I assume god just guides evolution in a way indistinguishable from exactly what we would expect from the purely natural laws of physics, because, I don’t know, free will or something. Again, yeah, you can play that game. They’re not incompatible from a strictly logical perspective. But what you’re doing then is a posteriori reasoning, rationalizing away a fact that would not have been predicted by theism and is necessarily entailed by naturalism. The probabilities still shift massively in favor of the competing hypothesis. Yes, it does. The theory of evolution encompasses any and all mechanisms guiding evolution, that is the whole point of the theory. If we would find any kind of intentional goal or other sign of intelligence in mutation rates, that would impact the current modern evolutionary synthesis and it would have to be improved and modified accordingly (basically to include god’s intentions, whatever they might be). Irreducible complexity really would disprove the theory of evolution. Now, to be fair, Plantinga points out that it’s not really a clear cut matter, which exact propositions are part of “the scientific theory of evolution” and which aren’t. But I assume that the mechanisms guiding evolution certainly should be – that’s what e.g. natural selection is, after all. Also, Plantinga wants to argue specifically for Christianity as opposed to naturalism. Naturalism definitely does address the question, and the success of evolutionary theory is strong evidence in its favor. Evolution, according to the modern evolutionary synthesis, is an unsupervised, impersonal process, not orchestrated by god or anyone else. We do not see any sign of orchestration or supervision anywhere and the theory is concerned with exactly the processes that guide evolution. But the insane part is, that he seems to think scientists and naturalists are the ones who went out of their way to hammer Christians with the claim, that religion and evolution are incompatible. No, they’re not, nothing is strictly incompatible with theism – if you want to imagine some guiding force on top of the known, natural evolutionary processes, go ahead. But the 40-odd percent of Americans doubting evolution certainly didn’t get the idea “religion vs. evolution” from reading Dawkins, Gould or Dennett et al – most of these authors only became vocal about religion precisely because of the alarming number of creationists in the US and their attempts to remove evolution from classrooms! It’s the ministers over there, that preach that god created the earth in 7 days, 6000 years ago finishing with Adam and Eve in the garden of eden and that therefore evolution is a lie and leads to eugenics and abortions and contradicts the bible, which is the infallible word of god. Ken Miller seems to wholeheartedly agree where the problems are if you look at his above talk. He actually examines the claims made by creationists – and they’re not being made by the kind of Christian who would accept a guided form of evolution. Without creationists, I doubt Gould and Dawkins would have become as prominent as enemies of religion as they have – in fact, Gould is the one who proposed science and religion as non-overlapping magisteria with different domains of applicability and thus necessarily compatible. And most of Dawkins work is explicitly battling creationism and explaining evolution to people whose only knowledge about evolution comes from their ministers’ malicious misrepresentations thereof. To put the blame on naturalists is to completely reverse the causal arrow here. So let me get this straight: if scientific findings and conclusions contradict commonly held religious beliefs, then we should not teach those findings in science classes and scientists should not point that out? If creationists believe in a young earth, then science class is not supposed to teach them the contrary? That would not be “proper“? Then what’s the point of science class at all, if not to teach science? How can anyone take Plantinga seriously? I would seriously urge Plantinga to take some advice from his fellow Christian Ken Miller. In the above video, he not only explains why it’s an incredibly bad idea to take evolution out of the school curriculum, he also argues beautifully for why pragmatic naturalism is a necessary aspect of the scientific method. Oh, so in the case of Christianity, mere compatibility is good enough, but in the case of naturalism we broaden our definition of incompatibility. Noted. Okay, so then, then we’ve got premise one: The probability of R, given N and E [is] low. Then the next premise is, one who has a defeater for R, for the proposition that one’s cognitive faculties are reliable, has a defeater for any belief she takes to be produced by her cognitive faculties. And of course, that would be all of her beliefs, right? One’s beliefs that are produced by one’s cognitive faculties. […] And of course, one of those beliefs is N and E itself, right? Our cognitive faculties are unreliable and here is a list of documented, well studied and known ways in which human cognition is typically error prone. That’s why science places such a high emphasis on empiricism, replication and predictions and has such a low regard for anecdotes, eye-witness accounts and memory. The scientific method allows us to compensate for our cognitive shortcomings. The probability of R (being generally sufficiently reliable to be trusted, even if prone to errors and unless having reason to think otherwise) specifically for our reasoning apparatus given N and E is still extremely high, for the simple reason that it is its only advantage. If it wouldn’t allow us to draw by-and-large accurate conclusions about our surroundings (especially in predicting the behavior of others), they would confer no advantage and wouldn’t be selected for. If our cognitive faculties would cause us to mostly come to wrong conclusions, we wouldn’t be able to survive for long. That’s why psychiatry is a thing. More generally – if we wanted to be accurate, we’d have to decompose R into a whole list of individual cognitive faculties, all of which have different probabilities to be correct, some of them rather large and some of them smaller – not surprisingly, some of our mental faculties are rather reliable (facial recognition, simple causal reasoning, intuitive physics) and some of them are hardly (intuition for probabilities, hyperactive agency detection,…). Also not surprisingly, things like facial recognition, causal reasoning and an intuition for simple newtonian physics are extremely advantageous, whereas e.g. estimating probabilities isn’t exactly a natural thing to do – as opposed to going with our gut instincts, which are tuned for survival “in the wild” and terrible in our modern situations, when e.g. estimating your chances in gambling. Every imaginable hypothesis about cognitive faculties being optimized for other advantages (happiness, ethics,…) than their being accurate would be just as valid under theism – if they’re advantageous, why shouldn’t a god design our mental faculties to confer us with those advantages instead of accuracy? If you want to claim god prefers accuracy above all else, why do we have all of these stupid cognitive biases? Just pragmatically, the argument gets us nowhere. Assuming we can’t trust our mental faculties to (in general and in specific domains) come to the right conclusions – all we can do if we want to discern truth from falsehood in any way is to look at what’s more probable. And the plain fact is that they seem to work. Even if the probability of R given N and E were incredibly low – it wouldn’t lead to a defeater, since no matter what epistemology we follow, some sufficient version of R has to be true from the start or we can’t form any beliefs whatsoever. It would “only” be strong evidence against N and E.
In particular, without R we couldn’t believe Plantinga’s argument in the first place. And if we accept that R is true, and we seem to have to, its probability given N and E without R as an assumption doesn’t matter anymore with respect to R, as long as it’s not 0 – and I don’t think Plantinga wants to claim that. If R is an axiom, or for other reasons true a priori, its probability is exactly 1. So in conclusion: Plantinga’s arguments why evolution and theism are compatible are either trivial (under one definition of “compatible”) or invalid/ignorant/missing the point (under another definition), he gives us no reason why theism should be plausible (not to mention more plausible than naturalism), fails to counter any one of the discussed arguments why theism is implausible and his argument why naturalism is supposed to be incompatible with evolution doesn’t work and applies just as well to theism. In the process he shows a tendency towards creationism and eliminating evolution from the school curriculum and betrays ignorance about the scientific method and evolutionary theory. And yet people take him seriously. Why? 1) I don’t rely on wikipedia, but I do use it for a first impression and as a starting point. This doesn’t need to impress you, but if referring to other sources does impress you, you should think very hard why that matters at all to you, especially with respect to simple things like a concise list of driving forces behind biological evolution. 2) I’m not responding to his book though, I’m responding to his talk, which is presented as a self-contained unit and should be treated accordingly. If the book contains anything that makes his argument any more substantial, I have a very open ear, but since he doesn’t seem to find that sufficiently important to mention in this talk I very much doubt I’ll find anything in there that makes his argument any less ridiculously naive and flawed. Strong terms chosen very consciously. 3) Errm, No, I do conflate all creationists as being creationists though – where a creationist by definition is someone who thinks all living “kinds” (for some definition of “kind”) were created individually and purposefully; in contradiction to evolutionary theory according to which all living things have a common ancestor from which all modern species evolved. The latter is literally the foundation of all modern biology. Nothing in biology makes sense except in the light of this realization. If Plantinga actually is a creationist in this sense, all my critique and ridicule of his is warranted more than tenfold, and I’m even more shocked that anyone could take him seriously. I mean, that americans do (where creationism is actually a thing) doesn’t surprise me, but if this is possible within academia, especially in europe, would be frustratingly embarrassing for the whole field of philosophy.